My fascination with computer science began at an early age. Back in the late 80s, my school - Arya Vidya Mandir - set up one of the country’s first computer rooms. I was 10 years old, and both the Internet and Microsoft Windows were some ways away, so I grew up playing with MS-DOS, GW-BASIC, C, and C++. Combined with the dozens of biographies I read, these experiences propelled me towards entrepreneurship in tech. Over the past 2 decades, I’ve founded or co-founded 5 companies with 2 successful exits. In 2014, we sold our first company in a $160 million transaction. Two years later, we sold our second company for $900 million. I currently own and operate Flock, Radix, and Zeta. 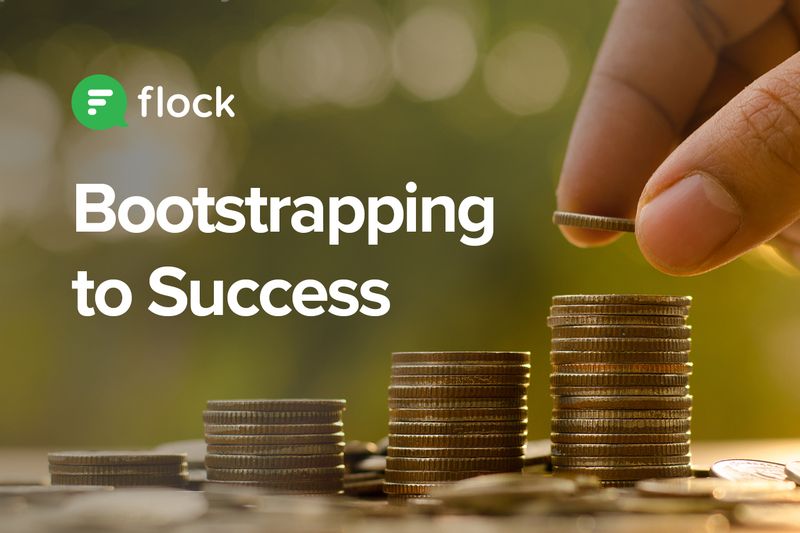 Every company I’ve founded has been bootstrapped and we’ve grown organically. I co-founded my first company - Directi - with an investment of $300 and I’ve never taken any external funding or debt, ever! I'm not against funding, but I’ve enjoyed a few advantages of being bootstrapped and learned from the mistakes of other entrepreneurs. I’ve always been concerned about how the media glamorizes lofty valuations and achieving unicorn status much more than value creation. Companies and entrepreneurs end up focusing on running through Series A to Series F (we will soon run out of letters in the alphabet! ), always raising money and always focusing on getting to the next round of valuation. Focusing on valuation is not the same as focusing on value creation. Valuation is driven by a lot of proxy metrics - GMV, eyeballs, users - as opposed to metrics for value creation such as NPS, customer satisfaction, revenue, and retention. In snowboarding, your board automatically takes you in the direction you look. So, when you look to your left, your body automatically swerves left. This “where you look, there you go” rule applies to business too. The metrics you focus on are the ones you improve. By focusing on valuation, important metrics that lead to true value creation get neglected. Necessity is the mother of invention. With limited capital, you have no choice but to be creative. You cannot afford to hire a hundred people, so you find the ten rockstars you need. You cannot pay for a Super Bowl campaign, so you resort to guerrilla marketing tactics. Limited capital forces entrepreneurs to think outside the box and solve through innovation. Excess capital, on the other hand, makes it easier to throw money at problems. Substituting creativity with cash might work as long as your money lasts. Creativity simply lasts longer and creates muscle groups in your organization that keep paying dividends in the long run. Startups spend money predominantly on people and promotion. Many overfunded companies expand their headcount rapidly without maintaining the quality bar, so B players hire C players hire D players. When you compromise on the quality of talent you hire, what should have been a small handpicked set of premium athletes devolves into a battalion of amateurs. 100 average musicians cannot accomplish what a Beethoven did. Quantity can never substitute for quality, especially not when it comes to your people. When you have half a billion dollars in the bank earning liquid market interest rates, it is tempting to put more capital to use faster - for the entrepreneur and the investor. Even before reaching sustenance, let alone market dominance in one industry, many startups diversify into a multitude of other businesses because they can afford to. So taxi cab operators add fintech products, fintech players add e-commerce businesses, e-commerce businesses add travel services and so on, until their businesses lose identity, focus, and purpose. Your probability of success is directly proportional to focus and inversely proportional to the number of balls you juggle. Capital tempts you into buying and juggling more balls, but you have to learn how to catch one before you add five more.